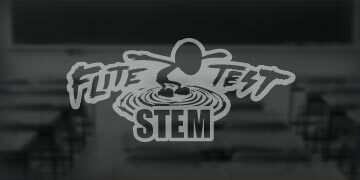 Flite Test was created for people passionate about flight. Our hope is to create a show for the people that build and fly planes and helicopters as a hobby. They are the dreamers and engineers that get a thrill from the first launch of a maiden flight. The show will personify the veteran and the beginner alike giving them a chance to share common experiences with others, in turn, enhancing the RC community. The goal is to develop a creative outlet that allows us to work in our passion daily. 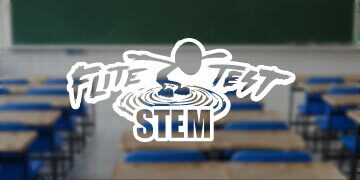 Flite Test is designed to empower our audience. It has just enough humor, technology and information to appeal to the RC flight crowd as a whole. We hope to entertain, educate and elevate our viewers as we move forward with quality content. FliteTest.com collects user submitted information such as name, email address, and age to authenticate users and to send notifications to those users relating to the FliteTest.com service. FliteTest.com also collects other profile data including but not limited to: personal interests, gender, age, education and occupation in order to assist users in finding and communicating with each other. FliteTest.com also logs non-personally-identifiable information including IP address, profile information, aggregate user data, and browser type, from users and visitors to the site. This data is used to manage the website, track usage and improve the website services. This non-personally-identifiable information may be shared with third-parties to provide more relevant services and advertisements to members. User IP addresses are recorded for security and monitoring purposes. User Profile information including members' pictures and first names are displayed to people in order to facilitate user interaction in the FliteTest.com social networking community. Email addresses are used for the purposes of inviting other users and readers to join FliteTest, to add users to members' friends' networks, and to send notifications related to the service. With the exception of inviting friends, adding friends, and notifications, a user's email address is not shared or displayed to people within a user's personal network Users within a personal network communicate on FliteTest.com with each other through the FliteTest.com service, without disclosing their email addresses. Users' full names are never directly revealed to other members. To facilitate searching and finding friends and acquaintances on the service, FliteTest.com may allow users to search for other members using first and last name, email address, and schools and/or companies where users may have attended or worked. We may also use a user's email address to send updates, a newsletter or news regarding the service. 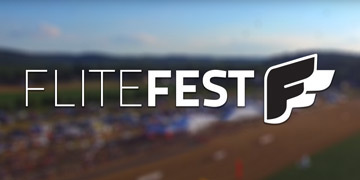 Users may choose not to receive email of this type by changing their "notification" setting to "Do not send me notification emails" in the user "Account Settings" From time to time, FliteTest.com or a partner, may sponsor a promotion, sweepstake or contest on FliteTest.com. Users may be asked to provide personal information including name, email address or home address or to answer questions in order to participate. We may transfer personal information to certain ad partners that you have explicitly requested to receive information from. It will be clear at the point of collection who is collecting the personal information and whose privacy statement will apply. FliteTest members can invite friends to join the service by sending invitation emails via our automated invitation system. 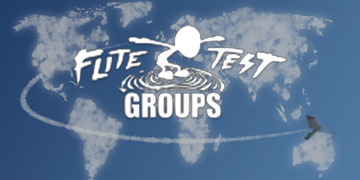 FliteTest.com stores the email addresses that members provide so that the respondents may be added to the friend's list of the member sending the invitations, and also to send reminders of the invitations FliteTest.com does not sell these email addresses or use them to send any other communication besides invitations, invitation reminders (up to three (3) per email address). Recipients of invitations from FliteTest.com may contact FliteTest.com to request the removal of their information from our database. FliteTest members may also store email addresses of people they know in their internal FliteTest address book and may also choose to send invitations and other communications to those addresses. You may prevent FliteTest.com email invitations and other messages from being sent to any email address you control by sending a single email with the subject "BLOCK" to feedback@FliteTest.com.Please note that the email must come from the account you wish to block. FliteTest.com users may modify or remove any of their personal information at any time by logging into their account and accessing features such as Edit Profile and Account Info. Members who no longer wish to receive updates or notifications may choose not to by selecting 'Do not send me notification emails' in the user profile 'Account Settings'. Users who do not wish to receive FliteTest.com newsletters may choose not to by selecting 'Do not send me FliteTest newsletters' in the user profile 'Account Settings'. All notification emails and FliteTest.com newsletters also include the above instructions for opting-out of those communications in the future. FliteTest.com member accounts are secured by member-created passwords FliteTest.com takes precautions to insure that member account information is kept private. We use reasonable measures to protect member information that is stored within our database, and we restrict access to member information to those employees who need access to perform their job functions, such as our customer service personnel and technical staff. Please note that we cannot guarantee the security of member account information. Unauthorized entry or use, hardware or software failure, and other factors may compromise the security of member information at any time For any additional information about the security measures we use on FliteTest.com, please contact us a feedback@FliteTest.com. If you have any questions about this privacy statement, the practices of this site, or your dealings with this Web site, please contact us at: feedback@FliteTest.com.